Soccer is a pretty fun sport to learn and master. You don’t need a whole lot of equipment to play it with your friends. But improving your game takes time. 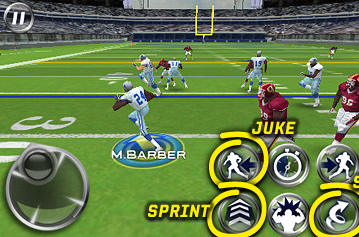 The adidas miCoach SMART BALL can help. It is a smart soccer ball that gives you feedback on the power, trajectory, spin, and strike accuracy of your kick. It is just like a regular ball but has a sensor package suspended at its center. These sensors collect data and sync them with the SMART BALL app on your iOS device. 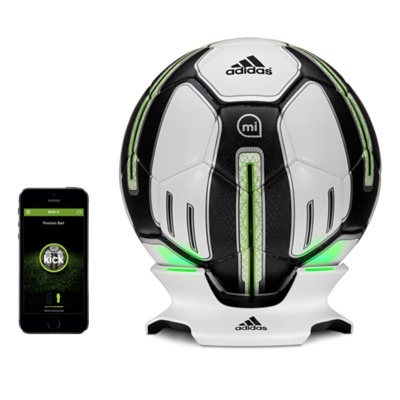 The adidas miCoach SMART BALL tracks and records your stats. It visualizes the path of you balls and lets you challenge your friends. The companion app has video tutorials to help you improve your game. You can get this ball for just under $300.